BENGHAZI (Sputnik) - The head of the counterterrorism service at the Interior Ministry of the Libyan Tobruk-based government, backed by the Libyan National Army (LNA), has been injured in a car bomb blast in Benghazi, a source in the ministry told Sputnik. Later in the day, the Tripoli-based Libyan Government of National Accord (GNA) has accused the Libyan National Army (LNA), led by Field Marshal Khalifa Haftar, of shelling civilian infrastructure in the capital and its neighborhoods that took place on Monday. "In the morning, civilian facilities, enterprises and organisations in the capital of Tripoli, as well as in the areas of Arad, Ain Zara and Al-Hadba were shelled by heavy weapons and missiles of the group led by rebel [Marshal Haftar]," the media center of the GNA operation against the LNA dubbed "Volcano of Wrath" wrote on Twitter. The blast occurred amid the recently renewed clashes between the UN-backed Government of National Accord (GNA) forces and the LNA. On Sunday, the World Health Organisation (WHO) stated that the death toll in the aftermath of new clashes in Libya Maghreb country between the LNA, led by Field Marshal Khalifa Haftar, and the GNA, increased to 147. On the same day, a Libyan National Army spokesman accused the GNA forces of targeting residential areas in Tripoli with warplanes. Four people were killed in the airstrikes, according to reports. 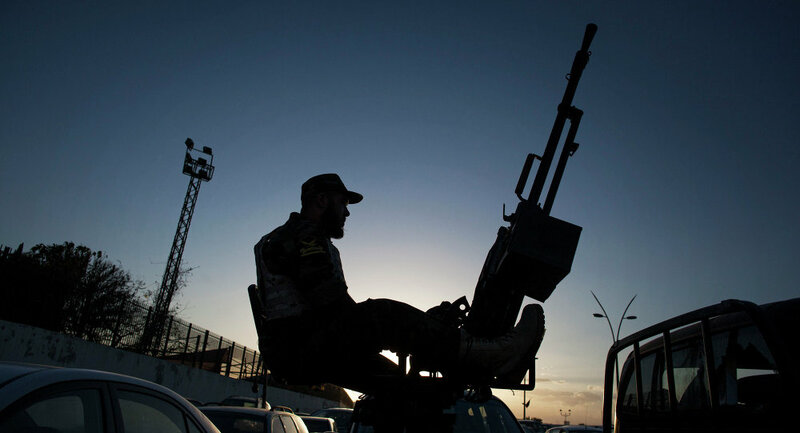 The confrontation between the two governments started to escalate on 4 April, with the launch of Haftar's forces unexpected offensive on Tripoli.